As seen from Ashburn , Mercury will reach its highest point in the sky in its November–December 2019 morning apparition. It will be shining brightly at mag -0.6. From Ashburn, this apparition will be well placed but nonetheless tricky to observe, reaching a peak altitude of 17° above the horizon at sunrise on 28 Nov 2019. 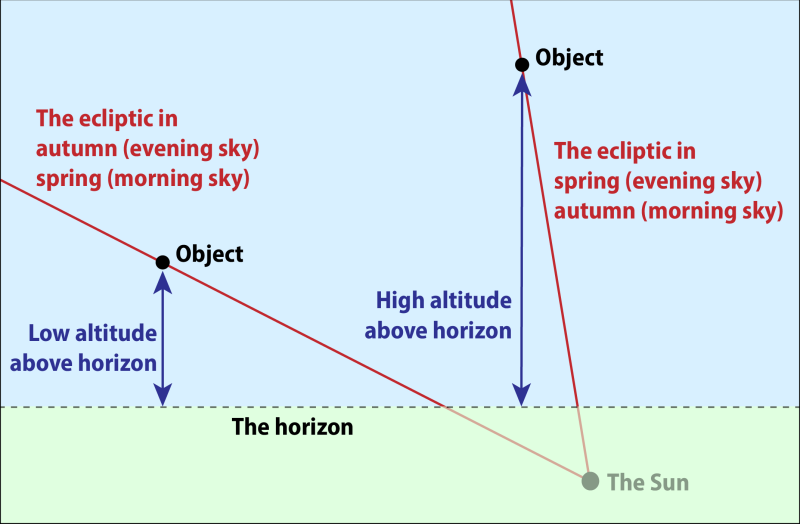 The table below lists how high above the horizon Mercury will appear at sunrise over the course of its the apparition. All times are given in Ashburn local time. 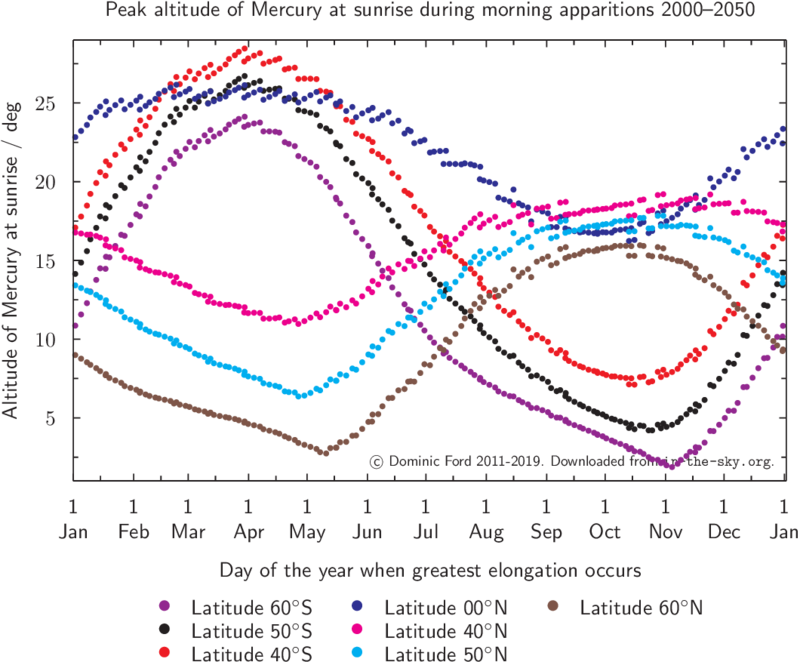 However, some times of the year are more favourable for viewing Mercury than others. From Ashburn, it reaches a maximum altitude of between 11° and 19° above the horizon at sunrise during each morning apparition, depending on the time of year. During its November–December 2019 apparition, it will peak at 17° above the horizon at sunrise on 28 Nov 2019. So, if Mercury appears in the evening sky in mid-September, or in the morning sky in mid-March, then it appears more widely separated from the Sun than usual. 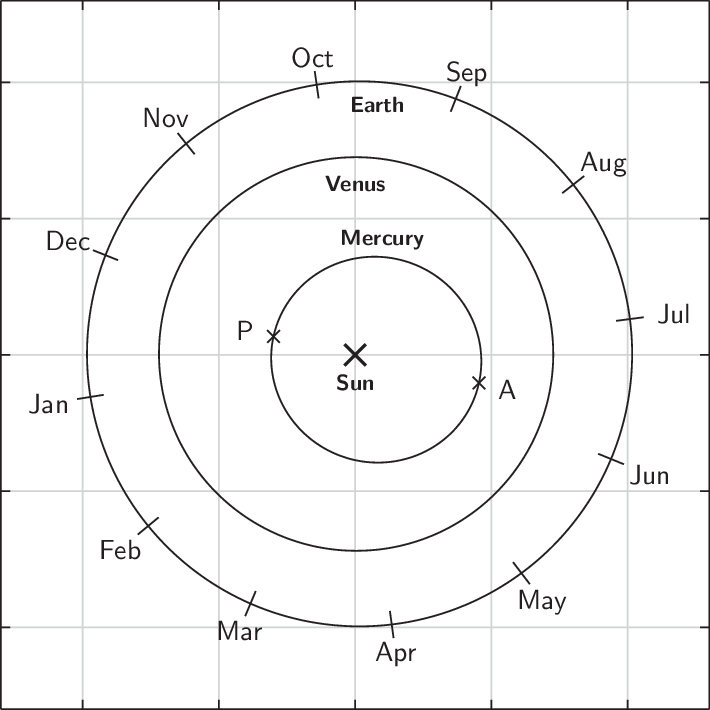 Specifically, at each apparition, Mercury reaches a separation from the Sun of between 18 and 28°. During its November–December 2019 apparition, it will reach a maximum separation of 20° to the Sun's west at greatest elongation. Mercury 14h56m00s -14°16' Libra -0.6 6.7"
Sun 16h15m -21°15' Scorpius -26.7 32'25"